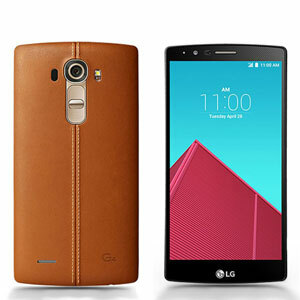 The LG G4 - Is It Really Worth The Purchase? 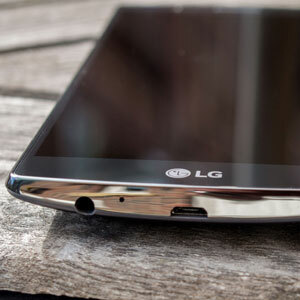 The LG G4 – Is It Really Worth The Purchase? This article is meant to answer one of the most common questions for people who have either the iPhone 6 or the G3; Should you buy the LG G4? So, we’ve used it for around two months now, having already tried the G3 and the iPhone 6. The LG G4’s display is truly brilliant at 5.5 inches and 2560 x 1440 pixel quad-HD. In a side-by-side comparison test, the LG was definitely better than the S6 and the iPhone 6 during movie playback and when reviewing stock photos, but compared with the G3 there wasn’t a lot of difference. This is in spite of LG claiming that it’s 50% better, so don’t move from the G3 in the hope of enjoying a better display. That said, the G4 is a huge improvement over the S4 or the iPhone 5. 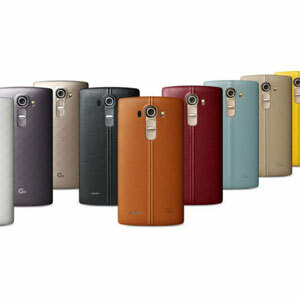 The LG G4 comes equipped with a fake leather coating. It looks and feels like the real thing, but it’s definitely plastic. There is an option for real leather, setting it apart from the iPhone 6, but it’s not much of an improvement. The curved back makes it easy to hold even for people with small fingers. The rear-facing volume rocker buttons are odd, but they have become part of the G series design, so if you’ve used the G3 then you’ll have no problems getting used to it. The G4 claims to have a DSLR quality camera, but we’re not fully convinced about that, as we’ve tested it against our own DSLR. We know people may want to switch for this feature, but the camera is only superior to that of the G3. Compared to the S6 and iPhone 6, the camera’s quality is not all that good. Yes, you can save photos in RAW format, the 1.8 aperture does make some difference, and Manual Mode certainly gives the pros a chance to fiddle with settings like ISO, shutter speed, etc. But at the end of the day this is still a fixed lens camera, which means that the only people who will be truly satisfied with it are those who are obsessed with Bokeh effects. Everyone else will quickly switch back to shooting in JPEG because RAW is just too huge a file. Plus, nothing beats having the ability to change lenses on your DSLR. The 8mp selfie camera is very good, much sharper than the G3’s 2.1mp, but again, the picture quality is nothing worth losing sleep over if you have the S6 or iPhone 6. So, you may only want to buy the G4 for its camera if you have either the G3, iPhone 5, and the S4 etc. Well, we like the fact that the G4 has an expandable microSD slot, which gives you extra storage. We also like the fact that the battery is user replaceable. Plus the new Android 5.0 and 5.1 offer an excellent user interface. The first issue we noticed is that the G4 can run pretty hot. This is especially the case when you’re running a game, and sometimes when browsing the internet. The new Snapdragon 808 processor is the probable cause of this, but the heat can cause the phone to crash on occasion. The other issue is the screen. We, and apparently many other G4 owners, experienced dead pixels. At first they were not visible but when we opened up a blank white screen we noticed a couple of pixels towards the top, which were black. Obviously this merited a replacement and we got one within the week. Overall the G4 is a solid device. However, it’s not worth upgrading if you already own a flagship device from this year (2015). Though prices have already fallen, the G4 is a nice phone but it’s too little too late in our opinion. Neat Gadgets For Men – Some Interesting Ideas!